Solinst is excited to announce a new version of the 122 Interface Meter, designed to accurately measure product level and thickness (LNAPL and DNAPL) in water wells and tanks, with more reliability and durability. The Interface Meter's improved design features Solinst PVDF flat tape that is precisely laser marked every 1/100 ft. or each millimeter (markings are certified traceable to national standards). The PVDF flat tape is extremely durable, highly chemical-resistant, and easy to decontaminate. Lengths up to 1000 ft. (300 m) are available. The 5/8" (16 mm) dia. probe is pressure-proof up to 500 psi, and one easy-access 9V battery powers the enhanced reel electronics. Solinst Interface Meters are ATEX certified and are certified safe for use in explosive environments, making them ideal when measuring in wells and tanks, at refineries, landfills or remediation sites. Levelogger Software Version 4.1 includes an improved Data Wizard that provides a more intuitive approach to data compensation. The new Data Wizard has basic and advanced options to suit your project and application needs. 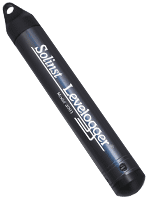 The basic option is streamlined, allowing you to perform just barometric compensation of your Levelogger data. Simply select the Barologger file you want to use for compensation, and the Levelogger data file(s) you want to compensate – the Data Wizard automatically does the work. The advanced option provides the opportunity to perform barometric compensation of your Levelogger data, as well as change parameters such as the units of measurement. You can also adjust data for different altitudes, densities and barometric efficiencies, making your data site-specific. With the advanced option, you can also use a manual data input to adjust your readings from the default height of water above the Levelogger sensor, to depth to static water measurements or elevation of water level measurements. The new Data Wizard makes it easy to select only the data compensations you need, for your project. 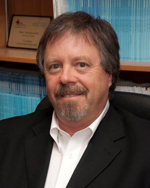 Dr. Gary Wealthall, Associate & Adjunct Professor at the University of Guelph and Consultant with Geosyntec Consultants, will be providing the introductory talk at the 2013 Solinst Symposium. 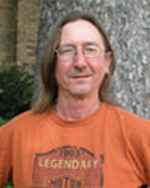 Gary will focus on the "History of the Evolution of High Resolution Tools and Methods for Groundwater Monitoring". In addition, Gary's extensive knowledge and experience in the area of high resolution monitoring, makes him an ideal moderator for the round table discussion, which will be open to all attendees at the end of the Symposium. The round table discussion will focus on the Symposium theme "High Resolution, Depth-Discrete Groundwater Monitoring – Benefits & Importance". 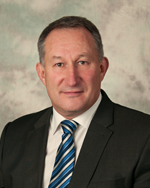 Kent Novakowski, Professor and Head of the Department of Civil Engineering at Queen's University, will be presenting at the 2013 Solinst Symposium on November 7th, in Georgetown, ON. This year's Symposium theme is High Resolution, Depth-Discrete Groundwater Monitoring – Benefits and Importance. Kent's presentation titled "Developing Conceptual Models for Flow and Transport in Bedrock Aquifers Using Depth-Discrete Hydraulic and Tracer Transport Measurements" will take place at 1:15 pm. He will discuss a recent study that compared three different characterization methods for creating conceptual site models. 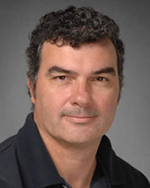 Dr. Patryk Quinn, a Research Scientist with the University of Guelph, will be presenting at the 2013 Solinst Symposium. His talk titled "Hydraulic Testing in Fractured Sedimentary Rock for Contaminant Hydrogeology Studies" will take place at 10am on November 7th. Patryk will discuss his use of packer testing equipment in contaminant behavior in fractured rock studies for performing hydraulic tests. With the equipment, three different tests can be performed at the same interval, in the same borehole. 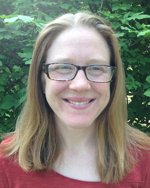 Dr. Jessica R. Meyer, who recently received her Ph.D from the University of Guelph School of Environmental Sciences, will be presenting at the 2013 Solinst Symposium. The Symposium will be held on November 7th, and will feature presentations on the Benefits and Importance of High Resolution, Depth-Discrete Groundwater Monitoring. In her talk, titled "High Resolution Vertical Gradient Profile Approach for Delineation of Hydrogeologic Units at a Contaminated Fractured Sedimentary Rock Field Site", Jessica will present research that she has conducted at a fractured sandstone site in Wisconsin, which was contaminated with over 72,000 L of DNAPLs. Richard Amos, Research Assistant Professor in the Department of Earth and Environmental Sciences at the University of Waterloo, will be presenting at the 2013 Solinst Symposium on the Benefits and Importance of High Resolution, Depth-Discrete Groundwater Monitoring. His presentation titled: "Diavik Waste-Rock Research Project: High Resolution Gas Pressure and Concentration Monitoring, " will take place on November 7th at 11:15 am. Richard will discuss the research he is conducting the Diavik Diamond Mine, in which three waste-rock test piles have been extensively instrumented to obtain high-resolution data in order to understand the physio-chemical processes. 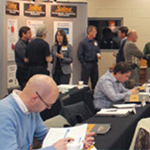 Solinst is proud to invite you to the fourth Solinst Symposium to be held at our facility in Georgetown, Ontario, on November 7th. The one-day event will focus on "High-Resolution, Depth-Discrete Groundwater Monitoring – Benefits & Importance", and will provide attendees with an opportunity to discuss environmental applications and monitoring methodologies. The Symposium will feature speakers from the University of Guelph, University of Waterloo, Queens University, and GeoSyntec Consultants. At the close of the event, a round table will encourage open discussion with all attendees and the panel of speakers participating in the Symposium. The Solinst Tag Line is designed for measuring well depths, and depths to backfill layers during monitoring well construction. The standard Tag Line uses narrow cable; laser-marked every ¼ foot or each millimeter. For added accuracy, the Tag Line is now available with Solinst Laser-Marked PVDF flat tape, which is marked every 1/100th foot or each millimeter, certified traceable to National Standards. Both the cable and tape versions have a tag weight that can be clipped on and off, providing a sturdy suspension system for pump, packer, or datalogger deployment. The measured system allows you to place instruments exactly where needed. For more information on the Tag Line, visit: www.solinst.com/products/103/103.html.